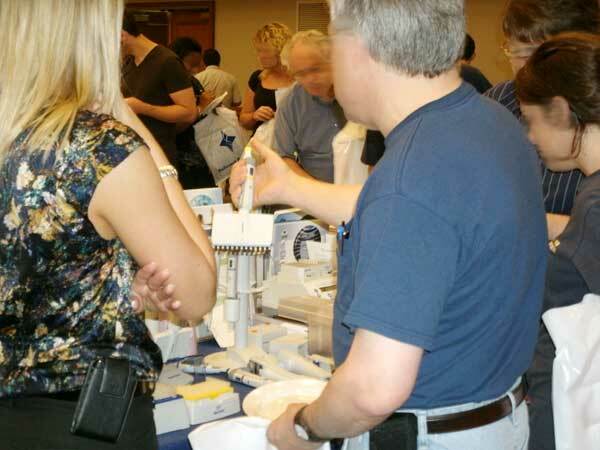 U.S Trade Shows for University Lab Products: SEE our 2013 Trade show calendar for lab product shows. Lab suppliers are invited to participate and showcase their products and services to audiences ranging from 100-700 researchers. These events will be held in close proximity to active research labs and include lunch and seminars at each site. These are fun and easy events: for the lab suppliers, for on site researchers, and for other local life science professionals. Sales Reps, Regional Managers, Company Directors, etc. When do our events happen? Why do we put on shows? To bring together biotechnology researchers with members of the research community who have products or services useful to advancing the progress of research in their studies.